The Morning Business Network Connection meets the First Wednesday of each month. With an average of 35 members and guests attending regularly, this event is just the right size for in-depth conversation and networking. In addition, every attendee has the opportunity to briefly introduce themselves and their business. No need to register. If you are a Member -- you may attend every month or whenever your schedule allows. 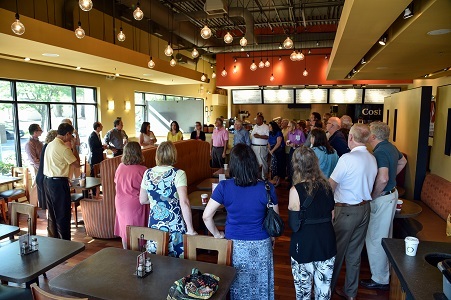 If you are a Non-Member Business that is interested in the Avon Chamber and have not yet attended one of our networking events -- then come as our one-time guest and get a feel for all that our organization has to offer.